Easy and fast customization is guaranteed via WordPress theme customizer. Change anything from colors, layouts, site width, to typography. Build a beautiful page layouts easily, with no coding knowledge required! Beaver Builder is an easy to use front-end drag & drop page builder that helps you create creative page or post layouts in no time. 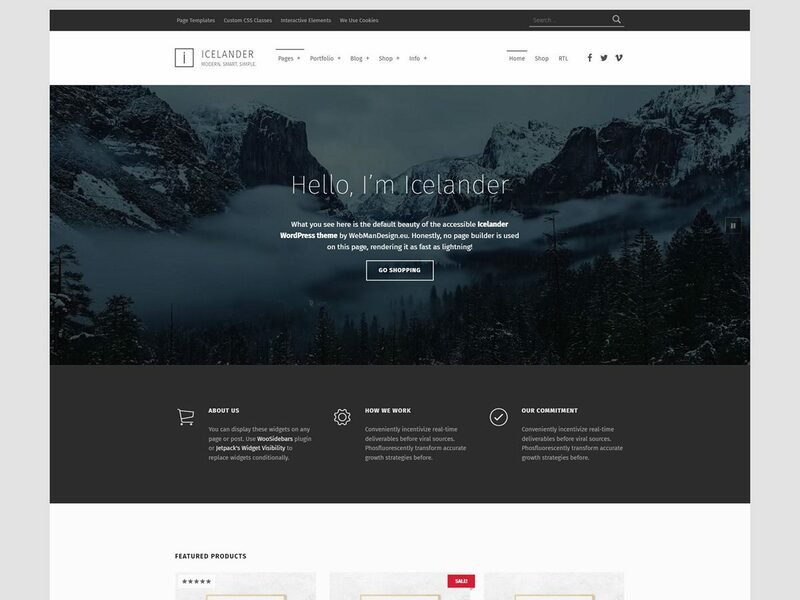 Icelander is 100% compatible with this page builder plugin. Take full control over your WordPress website: create layouts for archive pages, template an entire post type, error 404 pages, search results pages, and custom design parts like website headers and footers! All of this is possible with Icelander and Beaver Themer. Beaver Themer is paid plugin and is not packed with the theme. If you need to use it, please purchase the plugin from it's website. accessible websites, fast and easy! I can't wait to use this theme!